Taste of Summer, Carnival & Sidewalk Sales 2018 SUPERSIZED! Name: Taste of Summer, Carnival & Sidewalk Sales 2018 SUPERSIZED! ANTIOCH's TASTE OF SUMMER MUSIC, FOOD, CARNIVAL, EXHIBITORS, & SIDEWALK SALES! SUPERSIZING THE TASTE AGAIN BECAUSE IT WAS SO MUCH FUN LAST YEAR! 4 Days of fun in downtown Antioch are a must for summer pleasure. Carnival rides and games add up to fun for the whole family. Enjoy the delectable specialties prepared by top restaurants. 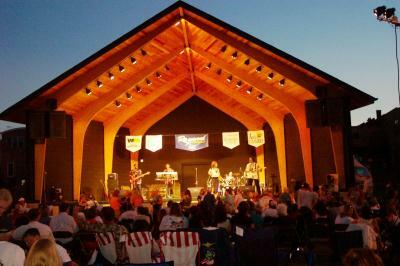 Dine in the relaxing sunshine or under the Big Top while listening to top entertainment in the Brook Bandshell. Browse among our Taste Exhibitors, plus find bargains at our Sidewalk Sales! SUPERSIZING THE TASTE SATURDAY because we had so much fun when we did it last year - we are doing it again! You will also enjoy the Carnival's additional rides and wristbands! ENJOY UNLIMITED CARNIVAL RIDES THROUGHOUT THE 4 DAY FESTIVAL FOR JUST $12.50 A DAY WHEN YOU PURCHASE A MEGABAND PASS IN ADVANCE ($50)...CLICK ON THE BLUE REGISTER BUTTON ABOVE...A REAL DEAL. If you purchase an online Megaband in advance, please list the name(s) and addresses, etc. of those you are buying for (do not use your name if you aren't purchasing one for yourself). If you are purchasing multiple Megabands online, click on the "additional attendees" button and add each person. If you are only paying for these, but not purchasing one for yourself, please only use your name in the screen that asks for your credit card information. If you are supporting a partner fundraiser, please indicate when purchasing your Megaband. PURCHASE A MEGA PASS WRISTBAND at the event -good for the entire Carnival! $60 for a MegaBand purchased at the Carnival Ticket Booth. Our Carnival brings new Rides and many ways to enjoy the Fun! FREE RIDE TICKETS - yes, they are FREE!!! You can print a free ride ticket by CLICKING HERE. Each person may enjoy one free ride each day. Please bring your printed certificate with you to the Ticket Booth to claim your free ride! It doesn't get better than this! Tell your Friends and Family about these great Carnival Deals today! SPECIAL NEEDS CARNIVAL ON FRIDAY, 7/20/18 FROM 1-3 pm. Visit our event information on this website for complete information! IF YOU DIDN'T REGISTER, PLEASE JOIN US ANYWAY, 7/20/18 FROM 1-3 PM AT THE CARNIVAL TICKET BOOTH (ORCHARD & SKIDMORE). By attending the Taste of Summer 2018, you are agreeing that any images taken may be used by the Antioch Chamber, IL for marketing purposes only. 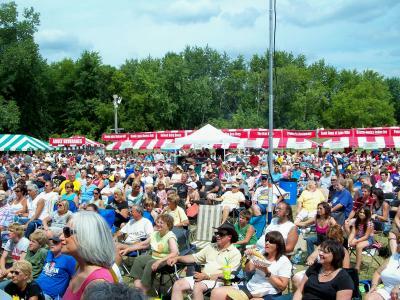 TASTE EXHIBITOR APPLICATION-By increasing entertainment at the Taste we are increasing the foot traffic to our Exhibitor Booths! Click here for info. Thank you to our Taste of Summer SPONSORS!!! FOOD VENDORS-Click here for information and application. EXHIBITORS-Click here for information and application. Contact the Antioch Chamber at 847-395-2233 or email office@AntiochChamber.org for information.